I've kept busy this summer helping elementary students develop an understanding of math. 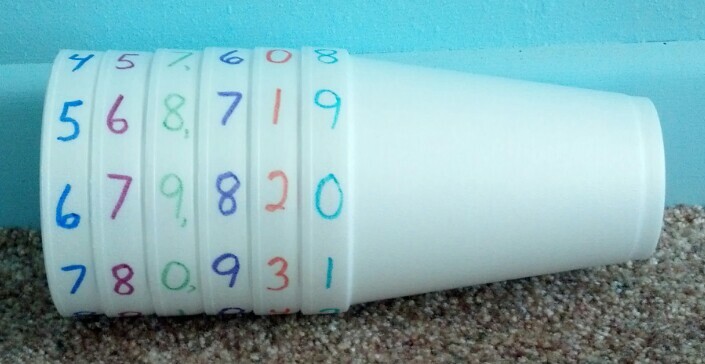 One of their favorite activities is using Place Value Styrofoam Cups. I saw this idea on Pinterest and decided to give it a try. I've given cup sets to several teachers and they have reported very positive results. This prompted me to write directions for making them. The directions are a FREE download on my Teachers Pay Teachers store. Registration is required, but there is no cost to join. This is a great idea!!! Thanks for sharing it! Love this idea - really helps to be able to see what is behind the columns. Love all these different perspectives and ideas. Will definitely use some of these tips. My kiddos are past the toddler stage now thankfully and we no longer need to baby proof everything and can have nicer things. This is a great article,Sony L36h case supplies the useful information for me, thanks in this Interested can try. Fairly consideration. Helps make me personally must be greater. Appreciate unveiling. cheap cosplay costumes You happen to be wonderful. Awesome. Awesome. Amazing! !Currently, I cosplay costumes for sale am looking for ideas for making throughput noticeable with the wall.Fantastic!